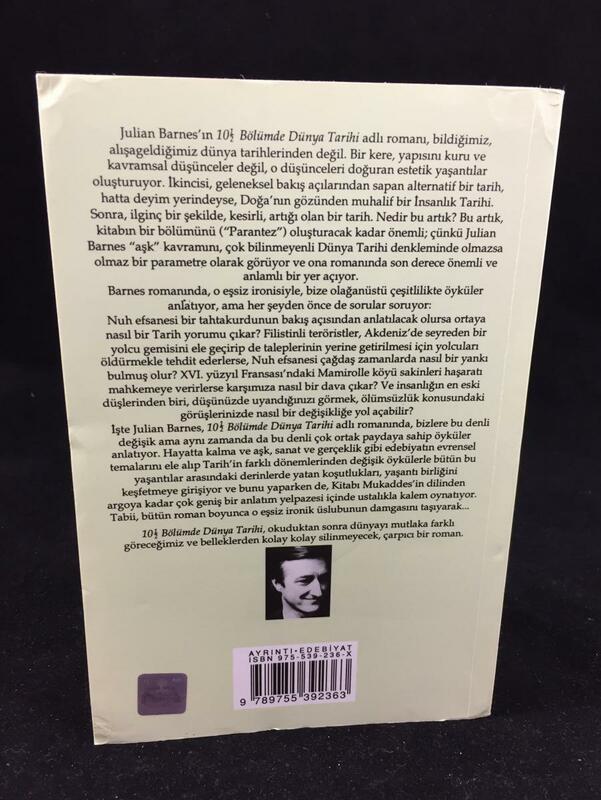 Notes on this edition: Julian Barnes. 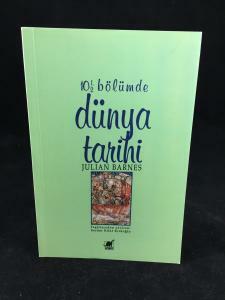 10½ Bölümde Dünya Tarihi | A History of the World in 10½ Chapters. 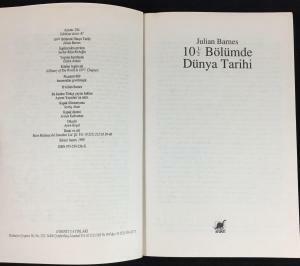 Istanbul: Ayrinti Yayinlari, 1999. Pp. 312 + . 19.5 x 12.9 cm. 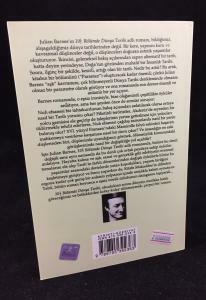 Translated by Serdar Rifat Kirkoğlu. 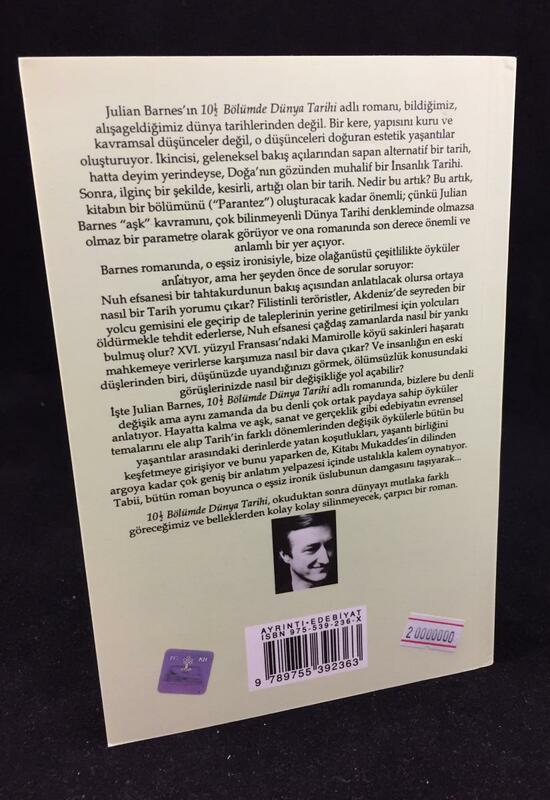 ISBN: 975539236x. (Turkish). 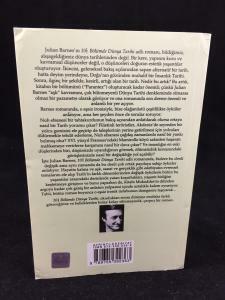 Two specimens featured, one with a numeric sticker on the back cover. Otherwise, the two copies are identical. 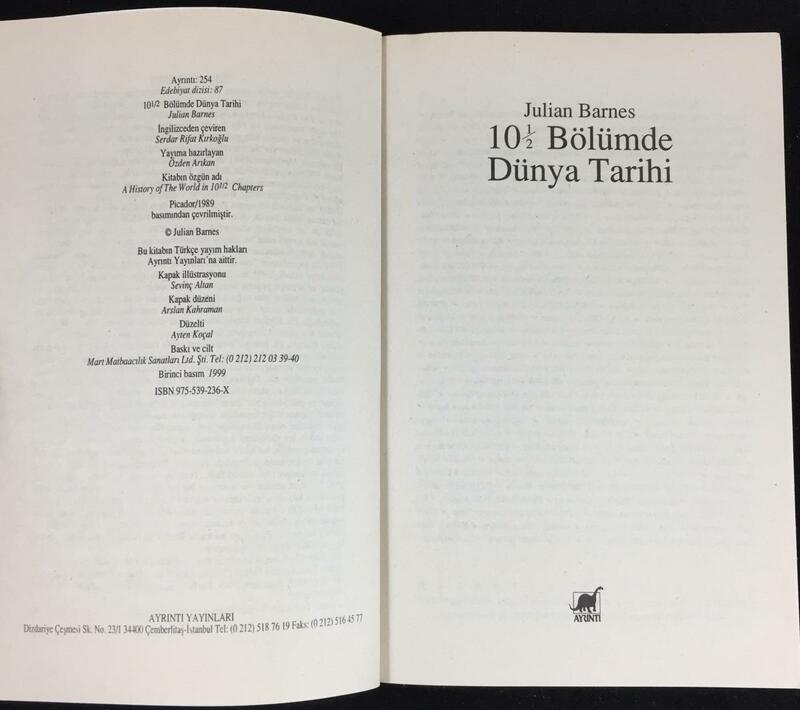 Previously published in Turkish by AFA Yayinlari (1994).